SHOTSMAG CONFIDENTIAL: Mick Scully on being a bouncer and The Norway Room! Mick Scully on being a bouncer and The Norway Room! 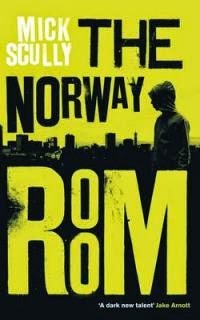 Today’s guest blog post is by Mick Scully who lives in Birmingham his debut novel The Norway Room was published earlier this year. He had his first story in his Little Moscow series published in the anthology Birmingham Noir. His story collection Little Moscow was highly praised. He has been a bouncer, teacher, acupuncturist and now works as a humanist funeral minister. There is a moment described in the biographies of many actors when they get away with it. Auditioning for a role for which they don’t totally fit the bill they take a chance, either falling flat on their faces – literally, sometimes – or succeeding with possibly career-changing consequences. Can you ride a horse? Of course I can. Deep-sea dive? I’m a natural. Swing from a helicopter above the English Channel? I was fifteen the first time I tried that. Invariably in the accounts we read the blag convinces, the actor secures the part and, with maybe a hiccup or two, a star is born. In real life it isn’t quite like that. No, not quite, but maybe sometimes close. In the seventies, in my twenties and desperately needing to supplement my teaching income, I applied for a bar job in a Birmingham nightclub. ‘We only employ girls,’ one of the middle-aged Spanish brothers who owned the club told me. Curiously he spoke only out of the right side of his mouth. ‘Pretty-ones,’ his brother added, from the left side of his. As a six-foot twenty-five-year-old bloke there was no way I was going to blag my way through that one. I had to admit defeat. But wait. It seemed I had something that was of interest to them. The very thing, it turned out, that so definitely disqualified me from the position for which I was applying. ‘You seem a big, strong lad,’ left-mouth brother said. ‘You look as if you can handle yourself.’ I suppose that phrase is open to interpretation, but I was pretty sure I knew what they were suggesting. In the seventies, of course, before security checks and training courses, being able to handle yourself was pretty much the only qualification required for door-work. This was my swinging from a helicopter, of course I can ride a horse, walk a tightrope moment, and I knew what was required. I nodded. ‘Did a bit of boxing at school,’ I lied. And, referencing the Bruce Lee craze of the time, ‘little bit of Kung Fu. No expert though.’ And it was enough. I certainly looked the part. The black suit. The dickie-bow. The stance – legs just a little further apart than is comfortable – was easy. The swagger – almost naturally acquired. But I knew that sooner or later there would come a moment when I was going to have to get on that horse, put on that diving suit. And I tried to put it off for as long as possible. The way I did this was to talk to people: be reasonable; be nice. Prevention is better than cure as my old mum used to say. Look, I’m really sorry about this, but it’s obvious that you’ve had a few. Another time we’ll be glad to welcome you. But tonight … There’s a taxi rank over there. I’d have a word with a drunk’s mates, persuade them to see him home, get girls to help me to talk their blokes out of a potential punch-up. I developed quite a technique, as much chat as a vacuum-cleaner salesman as one of my colleagues observed – well it was the seventies! But of course luck always runs out eventually. And when the place did take off one night, I fell off the horse, dropped from the helicopter. Even the diving bell couldn’t save me. I thought the job was finished. But the twins came round to see me when I came out of hospital. I was sussed, yes: not a fighter. But I was a talker and that, they decided, was what they wanted. When undesirables – for whatever reason – were trying to gain entry, it was my job to talk to them – be nice – get them to change their mind, go somewhere else. Go home. If that failed, a specially choreographed little manoeuvre took place: sadly admitting that all attempts at reasonable persuasion had failed, I moved back towards the ticket kiosk so that my heavier colleagues could move in to – in the words of the brothers – do the business. 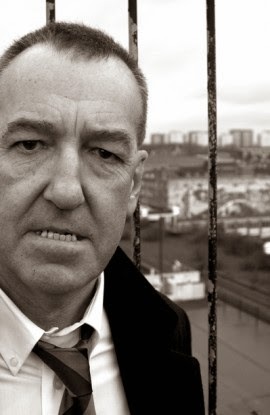 And so for three years I was part of the Birmingham nightclub scene, working the door, patrolling the dance floors, pretending to be hard – but the friendly one. Memories from those times came back to me when I started writing crime stories ten years ago. All the dodges that can be part of that world. And the more sinister aspects. The shock I felt when someone told me that a gun was kept in the safe – the brothers keep one in their draw too – deeply shocking in the seventies, and probably not true, but all grist to the mill of a writer. And I certainly drew upon those days when developing the characters of Craig Carrow and Shuko for my novel, The Norway Room. Both work in Birmingham’s club land. Carrow, an e-ex cop, is part of the security team of The Norway Room, the city’s premier nightclub. Shuko, a fixer for the Triad gang the Ninth Dragon, that is active in the city. Both men who really can handle themselves. It is interesting the things from one’s past that you draw upon when writing fiction. After my nightclub and then teaching days, I trained in Chinese medicine and had for a number of years an acupuncture practice in Birmingham. In training one learns a lot about the structures of Chinese society, the importance of hierarchy, the mythologies. And I was able to use some of the sensibility of these things in creating the Ninth Dragon. Shuko, the fixer, looks to the histories of the Chinese Emperors for guidance when planning the Dragon’s strategy in a turf war over the Norway Room. He uses the brutal outcomes of some of the traditional stories as a warning to opponents. So in writing The Norway Room, almost inadvertently it now seems, elements of my past working lives were excavated as I constructed the narrative. Night Clubs. Chinese medicine. And the years spent teaching? Well, there is Ashley; the thirteen-year-old lad at the centre of the novel, attempting to survive on his own in the city while his father serves a prison sentence. The Shots review of The Norway Room can be read here.